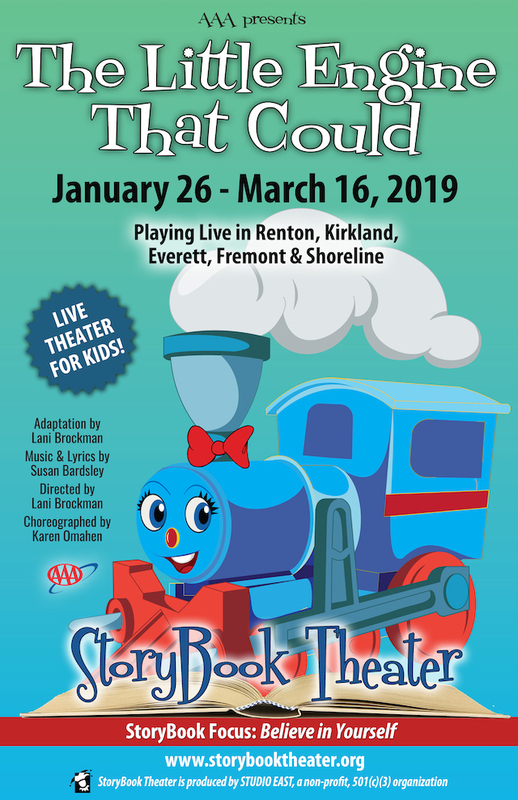 StoryBook Theater debuts a new musical, The Little Engine That Could, in partnership with AAA Washington. This show follows a broken-down engine struggling to deliver her toys to the children on the other side of the mountain. There are many trains who are willing to help, but they all seem to have more important things on their minds. The focus of Little Engine is believing in yourself, and the musical also weaves in messages about traffic safety and distracted driving. The Little Engine That Could is recommended for ages 3+ and has a running time of 55 minutes. Tickets are $15 (including service fees) and can be purchased online or 425-820-1800.